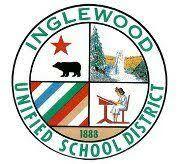 As of January 1, 2014, to comply with California Assembly Bill AB 2031, Inglewood Unified School District requires General Contractors and Subcontractors to be prequalified on all Bond Construction Contracts. Click here to sign-up online as a contractor. PQBids will contact you if more information is necessary to complete the process. You will be notified of your approval via email. If you have questions regarding this process, please contact Inglewood Unified School District Office 310-419-3080. You may also contact PQBids with technical support questions at info@PQBids.com or 888-218-4173.